There are over 18 million American adults with urinary incontinence. There are hundreds of products available to help manage incontinence from adult diapers, pull on underwear, pads, guards, briefs, and so much more. It can be confusing and difficult to know which are the best. The prices vary, the absorbency varies, the fit and sizing vary. At the Caregiver Partnership we realize how confusing and overwhelming this can be and offer solutions. We offer an The Incontinence Product Finder that quickly and easily helps you sort through the more than 650 product offerings we carry. We offer help of live individuals who have all been caregivers and are very familiar with the product lines and can help you select the best product for your needs. And we offer a try before you buy program where you can purchase small sample packs to try before buying in bulk to help reduce unnecessary spending and help you find the right product every time! 1. Depend – Chances are you are familiar with this brand. It is offered in a variety of stores, is easy to find, and also has a wide variety of absorbent product options. Depend offers briefs, pull-on underwear, shields and guards for men, adjustable underwear, and underpads. They are reliable, offer varying degrees of absorbency, and are on a mission to make the use of absorbent products not such a big deal. 2. Prevail – Prevail is the most used brand of incontinence product in North America. Their products include pads and pull-on underwear, briefs and underpads. They have the widest selection of styles, sizes and absorbencies. They believe that their products should be designed for everyone as loss of bladder control can impact any one at any life stage or age. 3. 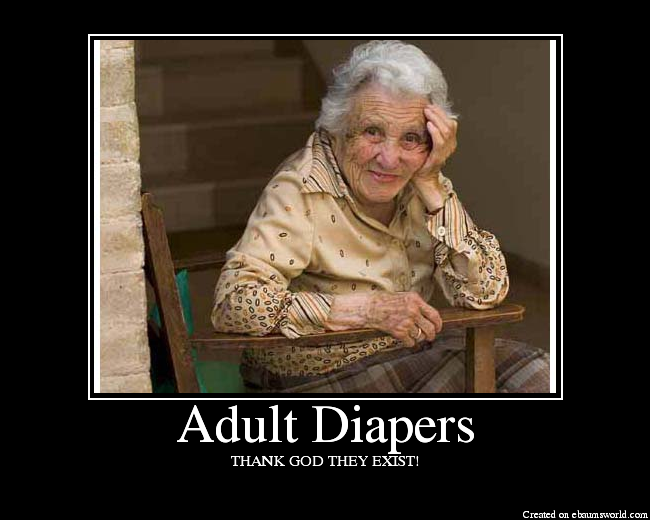 TENA – TENA is the #1 adult diaper company world wide, and provides a full range of absorbent products. They try to make products specifically for the unique gender needs of men and women, including pantiliners, daytime and overnight pads, male guards, protective underwear, briefs, skin care products, and underpads. They offer products to help improve the quality of life for those who have unexpected leaks, and do their best to minimize the impact incontinence makes on living, working, and socializing. 4. Poise Pads- Poise specializes in pads. In fact, they are the #1 selling line of pads with 5 absorbency levels from liners to ultimate pads. They focus on fit and comfort while offering great protection. Their pads are designed for specific body types and lifestyles to offer comprehensive protection at an affordable price. 5. Attends –Attends offers pull-on underwear and briefs. They are good value choice for the individual who needs protection, but does not want to pay for bells and whistles. They offer a full array of products to help you chose and pay for only the level of protection you need. 6. Tranquility – Tranquility is one of the most absorbent brands you can buy. They offer an ATN (All Through The Night style) line that offers superior absorbency and protection. They offer absorbent technology that protects and helps the users and their caregivers by focusing on CUP (Capacity Under Pressure) when determining absorbency so that it reflects actual wearing of the product!